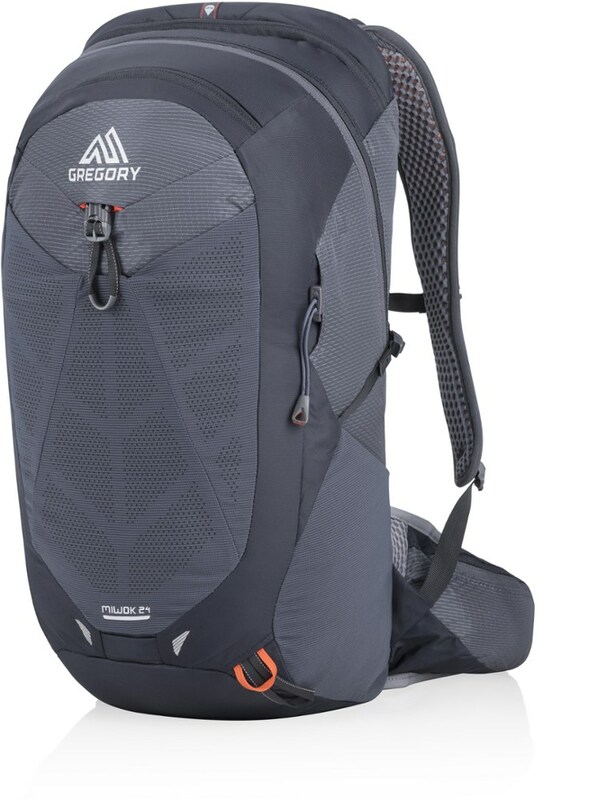 Gregory Backpacks & Bags Miwok Daypack 24L Graphite Grey One Size 1114810517. 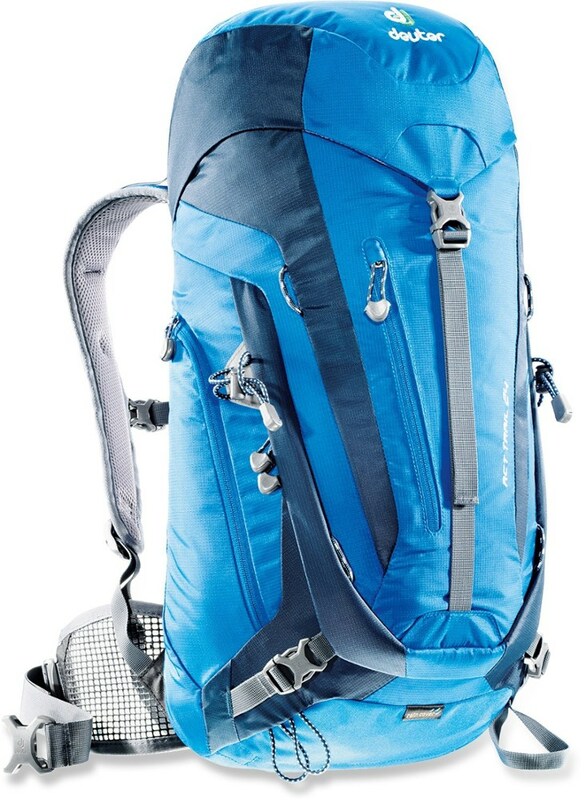 No matter what you plan is for the day this bag will expand or compress to your gear. 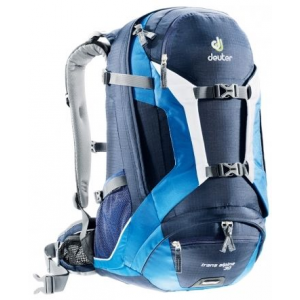 Designed for active trail pursuits but capable of much more, the men's Gregory Miwok 24 pack combines flexible BioSync ventilated suspension with the volume and features you want in a daypack. 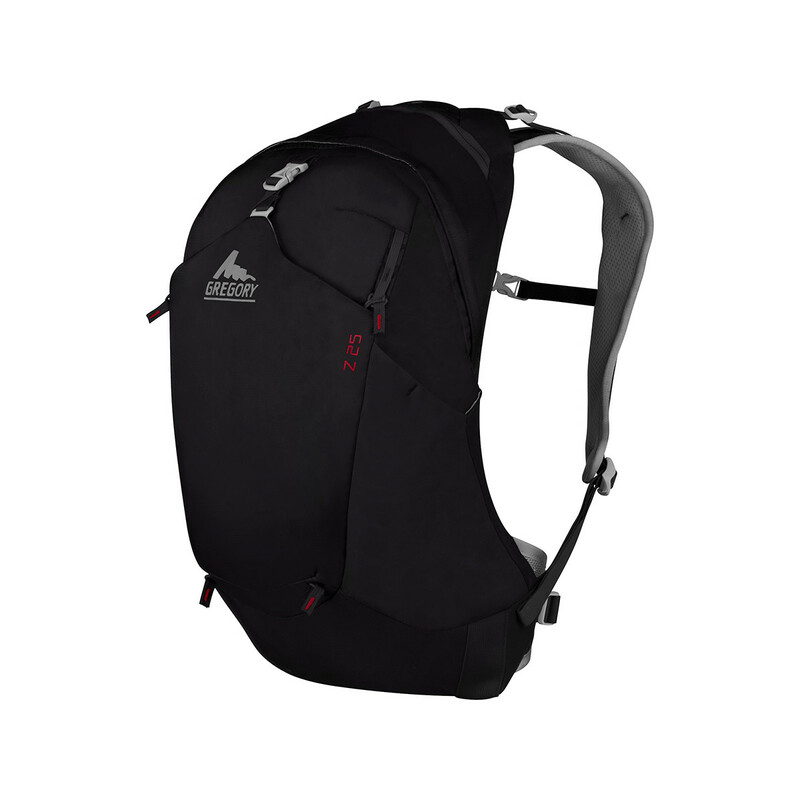 The Miwok 24 Backpack is one of the cleanest packs around, and even though Gregory designed it for rugged hiking, peak bagging, and mountain biking, it won't be out of sorts if you take it into town for a different kind of business. 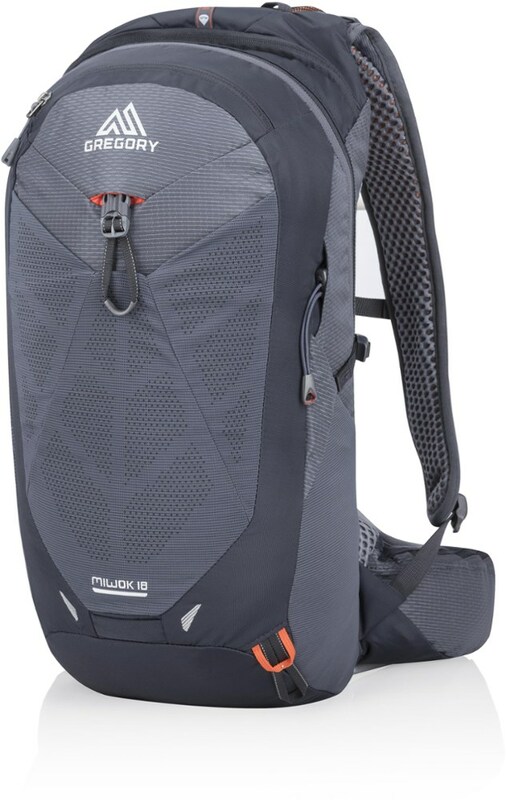 Designed to mimic the way flexible tendons and solid bones work in your body, Gregory's BioSync suspension system reacts to your every move with flexible connectors that join the shoulder straps to the waist belt and back frame, giving the Miwok unprecedented movement and flexibility. Padded mesh makes the shoulder straps, waist belt, and back panel highly breathable, too, for comfort during strenuous activity. 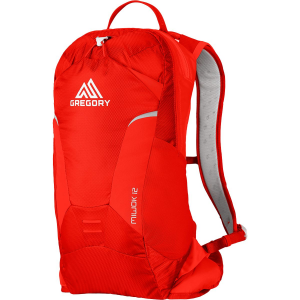 Gregory equipped the Miwok with a hydration sleeve for your own reservoir and a tube clip at the shoulder strap to stop the hose from flopping around and the soft-touch front pocket is perfect for electronics. Side pockets hold water bottles, an internal zippered pocket keeps your keys safe, and two zippered compartments on the hip belt keep smaller items handy. Stow your sunglasses quickly and easily on the shoulder harness without having to take the pack off and stash your extra layers in the durable front mesh pocket for easy access when the conditions change. CLOSEOUTS . 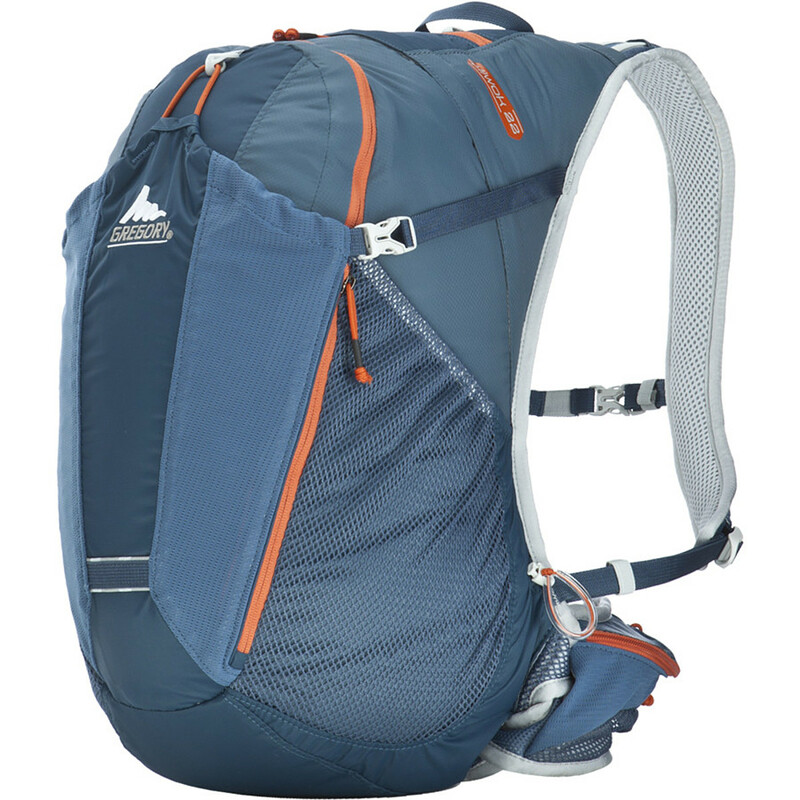 Offering lightweight comfort for speed hikes and day trippers, the Gregory Miwok 24L backpack has an expansion front pocket, back panel access to your hydration reservoir, and Aero-Mesh padding to help you stay dry. Available Colors: SPARK RED, GRASS GREEN, NAVY BLUE, STORM BLACK. The Miwok 24 replaced the Gregory Z 25.